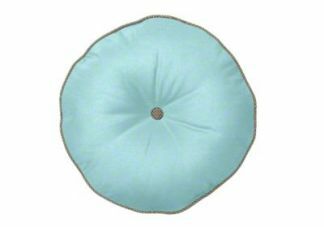 Our Custom Designer Round Boxed Pillow with Button will enable you to express your style and be creative. 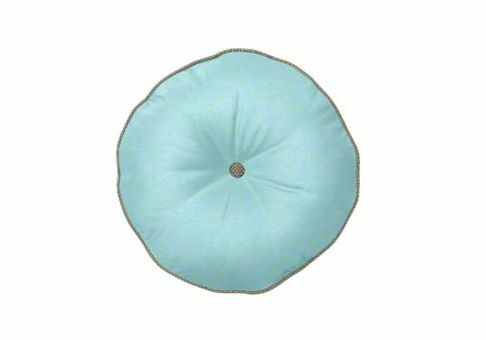 This designer pillow features a 1-inch fabric-covered button in the center. 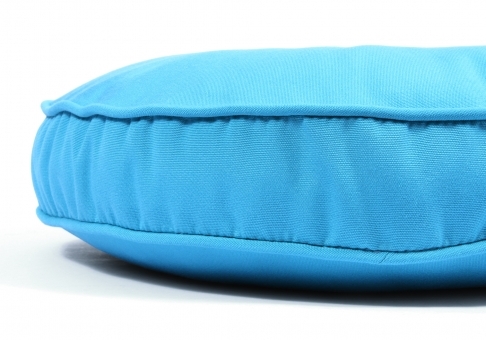 This custom pillow comes standard with piping, direct fill, and without a zipper. 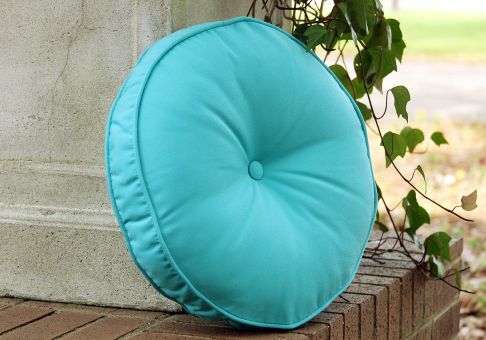 This pillow is 2 inches thick from seam to seam with an approximate overall thickness of 4 inches after stuffing. You may choose to coordinate or match your main pillow fabric with the piping/button fabric. You may also send in your own fabric (COM) with which we will make your pillow.